"This certificate represents the fusion of world-class accessible teaching, scholarship, and the finest technology. It is designed for the busy student, minister, and others because it is self-directed, on-demand, and self-paced. The achievement is a certificate awarded by one of the finest Christian Universities in the world, Houston Baptist University. Enroll with us!" "I am impressed how easy it was to begin taking this certificate program. I really enjoy being able to study this material at my own pace and am really enjoying the sound biblical teaching." Dr. Robert B. Sloan Jr., the president of Houston Baptist University, will be your teacher during this certificate program. 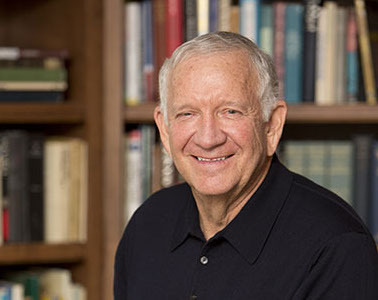 Dr. Sloan will guide you through The Story of the Bible as an innovative way of receiving one-on-one higher education training. 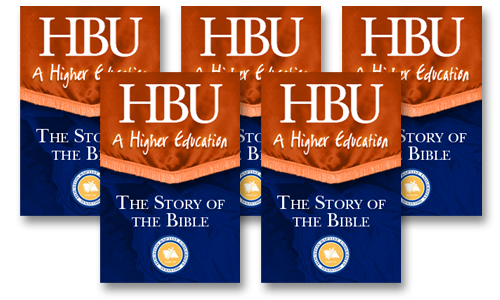 After you have completed the program, you will be eligible to receive by mail a Certificate of Study from Houston Baptist University. In addition, you will also be invited to come to Houston, Texas to be a part of the graduation ceremonies and be recognized there. 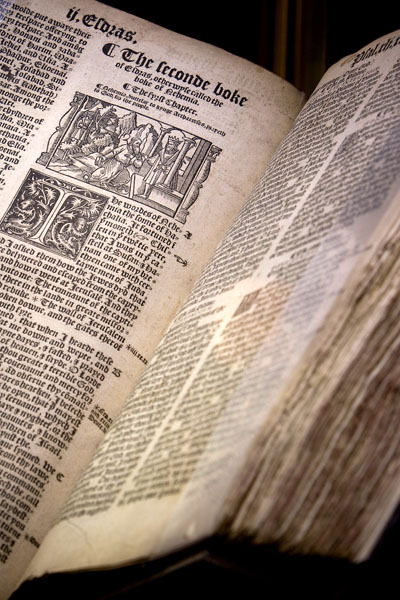 The Story of the Bible is an online certificate program that will be taught by video. The teaching is spread across about a dozen one-hour sessions. Dr. Sloan will teach through the series like a story. During each session, he will show how the Bible truly has a beginning, middle and end. Once you have enrolled in the program, you will receive an e-mail with easy to follow instructions on how to begin taking the online self-paced course. After enrolling, you can begin the program within just a few minutes. All of the course will be viewed through app.wordsearchbible.com (Wordsearch Bible Online). The purpose of app.wordsearchbible.com is to enhance the ability of reading and studying the Bible. It functions as a premier digital library and research tool, and has an easy-to-use interface. When a new user begins using the certificate program on app.wordsearchbible.com, they will also immediately have free access to over 20 resources to help them. These resources include Bible translations, study Bibles, commentary volumes, word study materials, and more. Is this certificate program open to anyone? Yes. 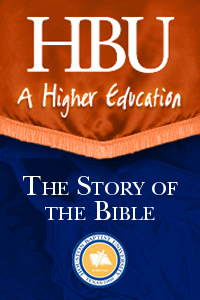 Anyone can enroll as a student in The Story of the Bible. The vision is to serve people from every walk of life. This certificate program is for anyone who wants to immerse themselves in the study of God’s Word. Is this program flexible enough to fit my busy schedule? Yes. This certificate program is entirely self-paced and is all completed online. There are no set times you will attend or any deadlines to meet. You get to set your study schedule around what works best for you. What happens after I finish the course? How do I receive my certificate? 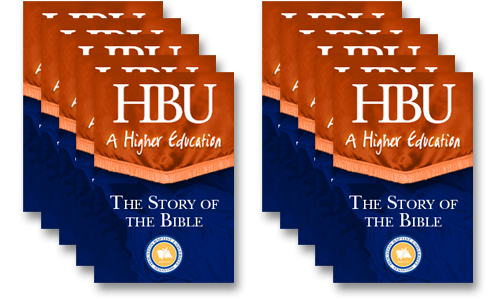 Once the course is completed, you will see a link on the final video that will lead to HBU's website to finalize the certificate. On that page, you will take a short assessment and provide information to customize and address the certificate. Once this submission is done, HBU will receive notice that an enrollee has completed the course and the assessment. Within a few business days the certificate of completion will be mailed out to the address that is provided. Can I receive college credit after I have completed my studies? For this particular certificate program, no college credit will be received. 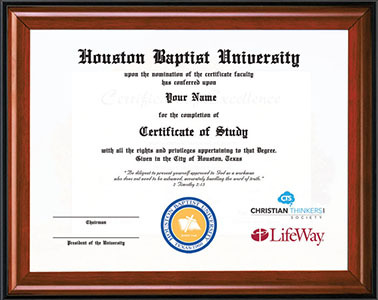 In the future, Houston Baptist University is looking to make more certificate programs like this one available... Some of which will be college credit eligible and some others will not. I would be interested in having a group work through this study together. Is this possible? Yes. We think that this program is an excellent one to do as an individual, but also offers many benefits for groups wanting to study through it together. Because of this, we offer group rates for these situations. Please see the pricing section for more information. Can I complete this study on my mobile device or does it have to be done through a computer? This certificate program is taken entirely through app.wordsearchbible.com. Therefore, as long as you have a solid Internet connection, you can access the videos from the course from a desktop computer, laptop, tablet, smartphone, etc. Since the program does stream videos, make sure you have a reliable Internet connection to ensure the best experience. Should anyone have questions about the program and/or need assistance guidance through using the website, our team here will be ready to help as we offer service through phone, email, and live chat. © Copyright 2016 HBU. All rights reserved. Everything used under license. All other trademarks referenced herein are the property of their respective owners.